There are also backpack style bags. They can either fully enclose the mat or allow it to be seen from the outside. 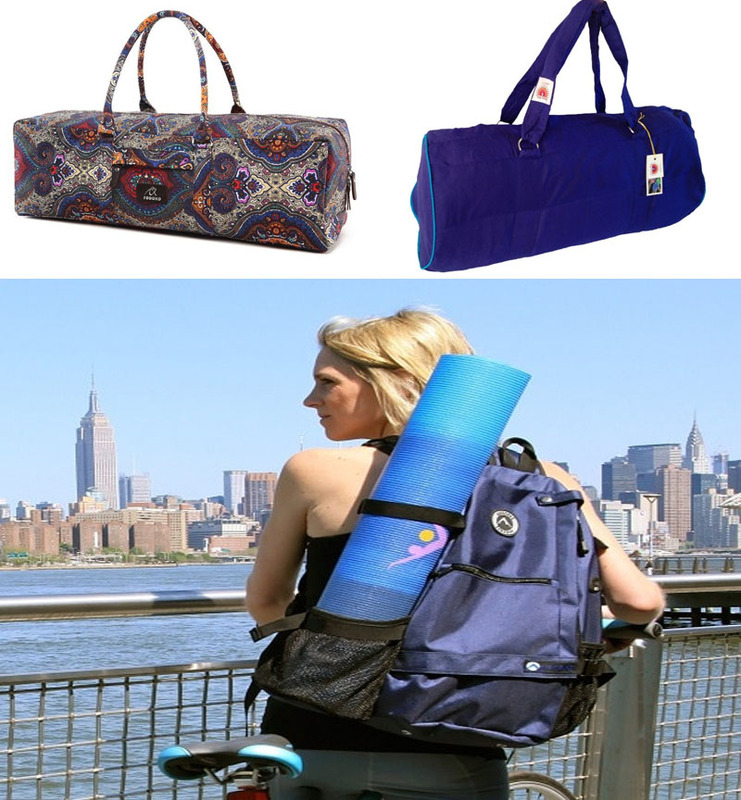 You roll the mat as tightly as possible and then use the straps to attach it to the backpack. Again, this can be wonderful because you can carry more than just your mat. You can stow shoes, other clothes, or even a water bottle which is perfect for re-hydrating after a very strenuous class. When selecting a bag, no matter the style, you need to look at the materials it is made of and think about how much use you will get out of the bag. Are you looking for something a bit more decorative that you can use as an accessory? You can select from some of the lighter weight fabrics that are available in a range of colors. There are some beautiful choices available using materials such as embroidered silk or batik fabric.